Polvorone made its way to the Philippines by way of the Spanish colonists, and it remains there today in variations that include pinipig (toasted pounded rice), nuts, cocoa powder and chocolate. I remember making classic polvorone with my mom using a small oval shaped mold to shape each piece... it was time consuming but well worth it. You can find countless recipes for polvorone online; one day I'd love to make a chocolate version for my boys. 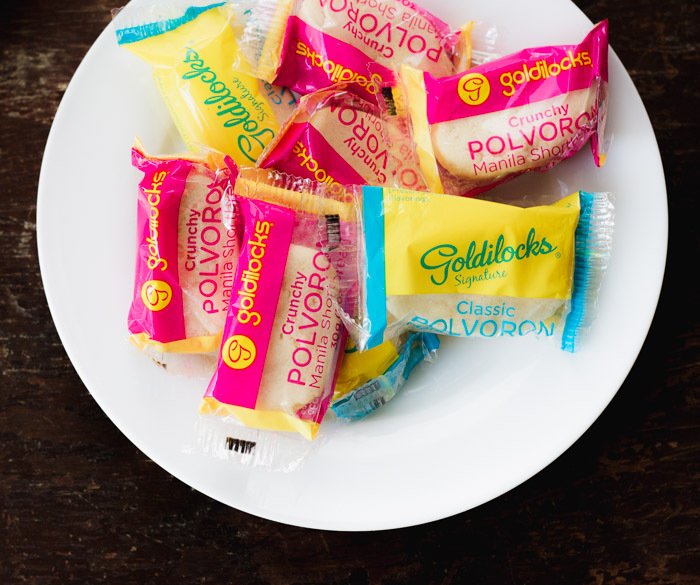 The polvorones in the photos were sent to me by an old dear friend who bought them from one of the most popular and well respected Filipino bakeries, Goldilocks. Lovely image! 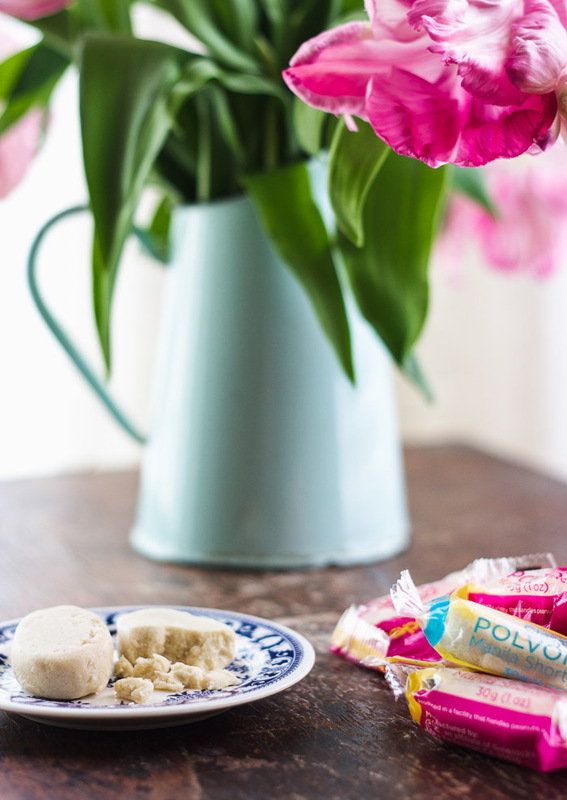 I love shortbread, so I bet I would love these treats! Great image! 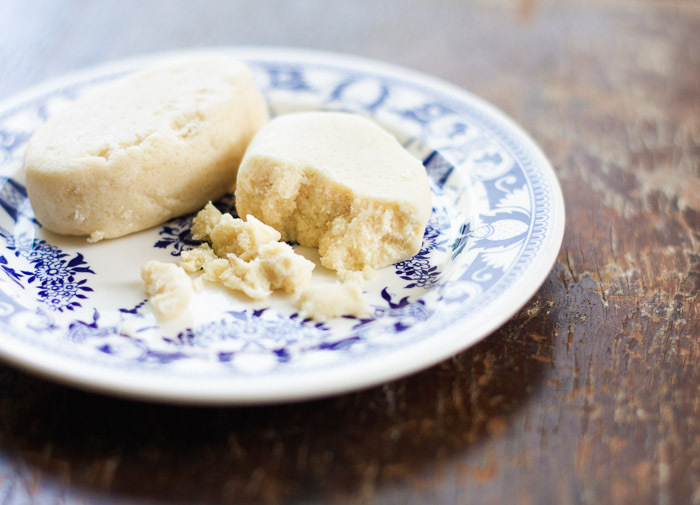 Shortbread cookies have the perfect mix, not too sweet but serves well to satisfy a sweet tooth. I would love these I'm sure. What gorgeous shots! I love your perspective in that first image :o) Hope you have a wonderful Thursday! Oh so lovely! they sound absolutely declieux! These look delicious - anything resembling shortbread has got to be pretty good:) Love the light in your pictures and that your friend sent these treats straight from the Philippines! Real treasures. I am living the composition of the first photo. Beautiful.